Libya’s new army chief Khalifa Haftar on Monday promised his forces would take control of second city Benghazi from Islamist militias within a month. “We will end in very little time the presence of the enemy in the region,” he told AFP at his military compound in Al-Marj, about 100 kilometres (60 miles) northeast of Benghazi. “Operations in the city of Benghazi will end before the middle of next month,” he said. 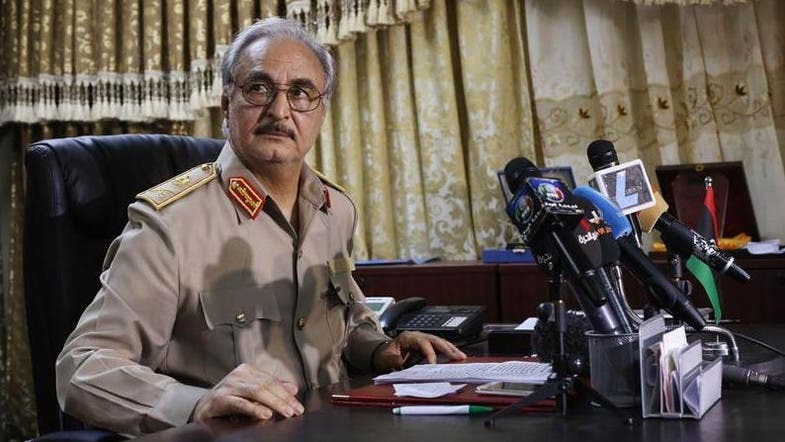 Haftar, 72, was sworn in on March 9 as the new army chief in conflict-ridden Libya and promoted to general, a week after his nomination by the elected parliament. He said the offensive in Benghazi, which he has dubbed Operation Dignity, was to “answer the repeated calls of the Libyan people for the return of the army to combat terrorism in the region”. He also called on the international community to support the Libyan army. Last May, Haftar launched an offensive against Islamists in the country’s east focused on Benghazi but has so far failed to take the city. Since the 2011 overthrow of dictator Moamer Kadhafi in a NATO-backed uprising, Libya has been wracked by conflict, with rival governments and powerful militias battling for control of key cities and the country’s oil riches. The North African country has two parliaments and two governments. The internationally recognised legislature was elected in June and is based in the eastern city of Tobruk, while the rival Islamist-backed General National Congress (GNC) is in the capital, Tripoli.